Samsung Electronics Co. Ltd. today announced the partnership with Diesel Black Gold on a unique show collaboration featuring the new Samsung Gear S. The partnership between Samsung and Diesel Black Gold embodies the union of innovative, design-conscious technologies with a contemporary and unique fashion ecosphere. 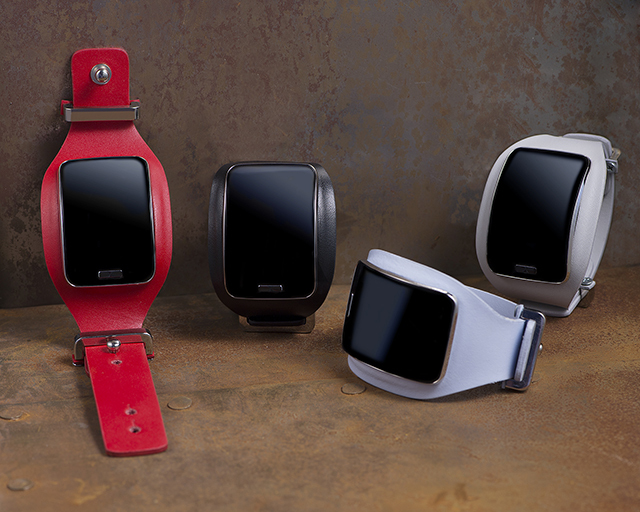 ​Andreas Melbostad, creative director of Diesel Black Gold, has interpreted the revolutionary Samsung Gear S with a series of customized accessories, which will debut down the runway of the brand’s Spring/Summer 2015 show. By using the innovative technology of the Samsung Gear S as a foundation, the creative team at Diesel Black Gold created a collection of unique pieces, in different shapes, colors and details, all characterized by the iconic attitude of the advanced contemporary label. Elements of the SS 15 collection, inspired by highly stylized New Wave rock stars and tough rockabilly heroines, have been used to give a sharp attitude to the device, characterized by signature leather and metal details. ​​Samsung and Diesel will also collaborate to make a 360 video of the Diesel Black Gold runway show to play on the Samsung Gear VR. When played on the Gear VR, the content will provide an immersive and unique viewing experience of the show. ​Designed with an elegant, curved Super AMOLED display and flexible band, Samsung Gear S fits comfortably on user’s wrist. Through 3G connectivity, the Samsung Gear S offers a new, powerful wearable experience and gives consumers the freedom to live their life on the go. The Samsung Gear VR delivers an unrivaled viewing experience with the 5.7 inch Quad HD Super AMOLED display of the Galaxy Note 4 providing stunning and engaging visuals at a mobile-leading resolution. ​Samsung Electronics Co., Ltd. is a global leader in technology, opening new possibilities for people everywhere. Through relentless innovation and discovery, we are transforming the worlds of TVs, smartphones, tablets, PCs, cameras, home appliances, printers, LTE systes, medical devices, semiconductors and LED solutions. We employ 286,000 people across 80 countries with annual sales of US$216.7 billion. ​Diesel Black Gold is the finest expression of Diesel’s heritage. The line, designed by Andreas Melbostad, takes its parent brand’s irreverent attitude and innovative techniques to new heights of quality and refinement; it expresses the brand’s DNA and translates it into the territory of advanced contemporary fashion.